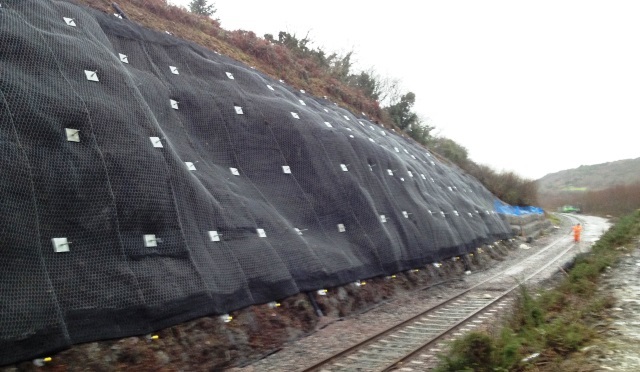 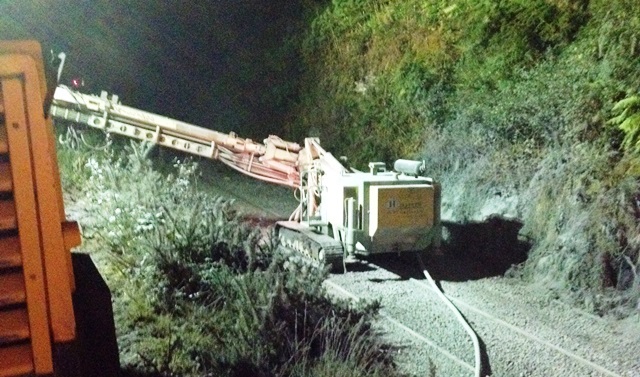 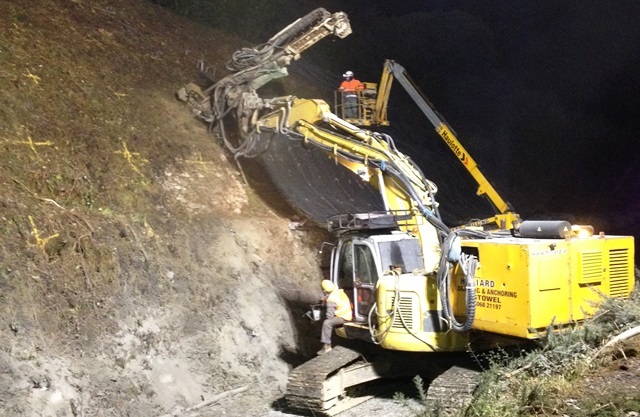 This Project involved the construction of a Soil Nailed embankment retention system and general stabilization works adjacent to Railway Line at Milepost 44 on Tralee – Killarney Line near Dromdoohig Mor, Killarney, Co. Kerry. 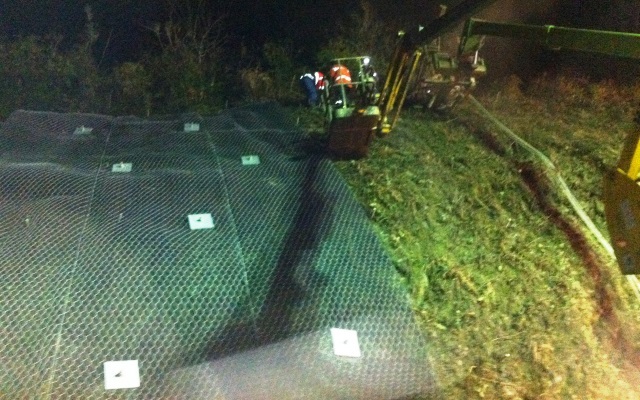 This contract included the installation of 190 No. 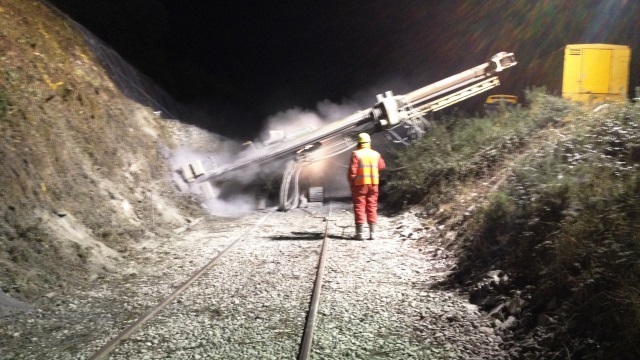 Dywidag MAI type R25N self drilling soil nails which were drilled at 2.5 metre centres horizontally and 2.5 metre centres vertically and to maximum depth of 7.0 metres and anchored in place by injecting with a cement grout before fixing on a layer of MacMat – R Netting using 300 by 300 mm galvanised plates. 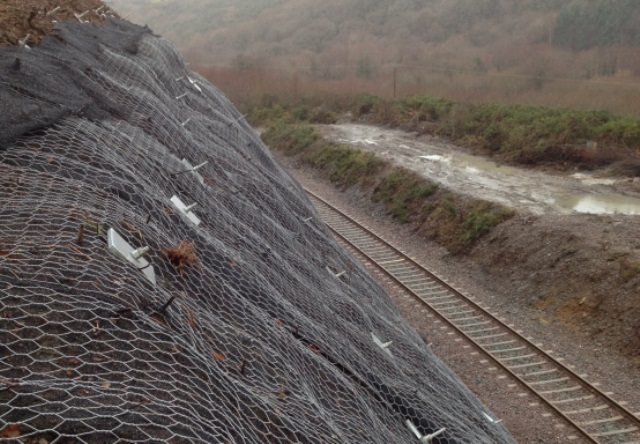 Ancilliary work to include setting up working compound adjacent to roadway and railway line with appropriate traffic management and safety warnings as per NRA guidance and liaising with Kerry Co. Co / Irish Rail / Gardai etc. 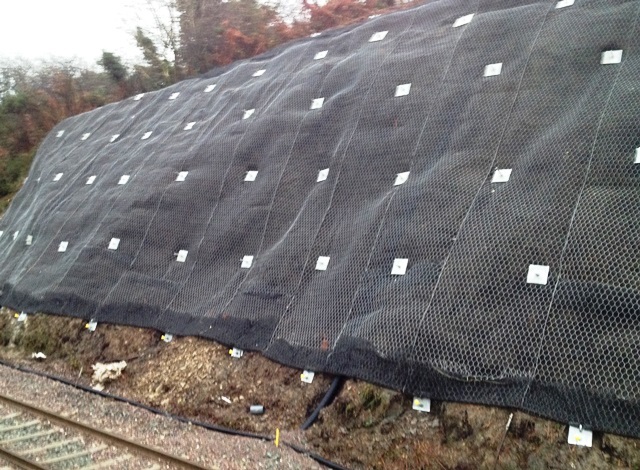 Other works to include for installation of filter drains, trimming back vegetation and loose spoil, removal of spoil off site and testing of nails.